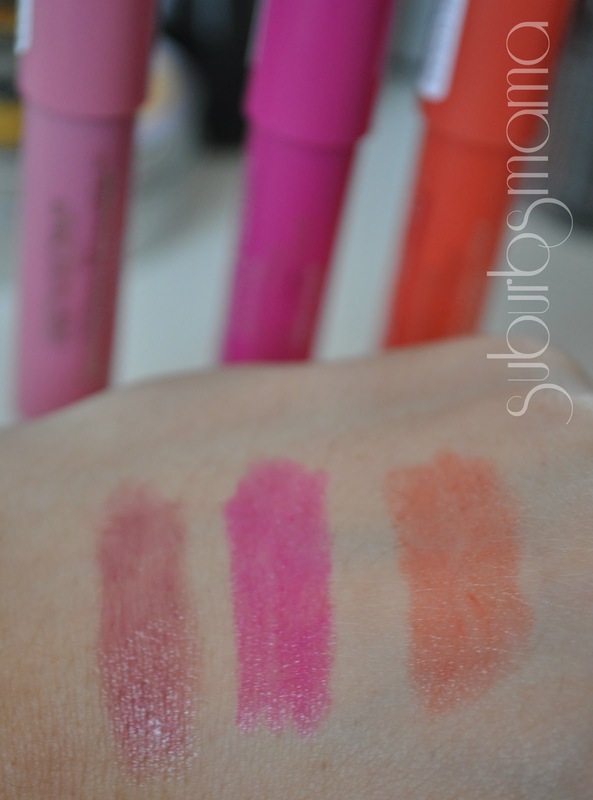 Suburbs Mama: Revlon Just Bitten- My thoughts..
Revlon Just Bitten- My thoughts.. Being a mom means I don't have time to reapply or touch up my makeup when we are out and about, so the idea of a lip stain really appealed to me. However, I first used one those lip stain markers, which I hated. They dried out my lips and tasted gross. Then, I saw the clinique chubby sticks at Sephora, I stood in front of the display and debated if I should spend $16 on one of them, needless to say I walked away empty handed. So when I saw these Revlon lip stains for only $7, I was excited. So excited, that I bought the first three colors that appealed to me. They don't dry out my lips and smell nice. 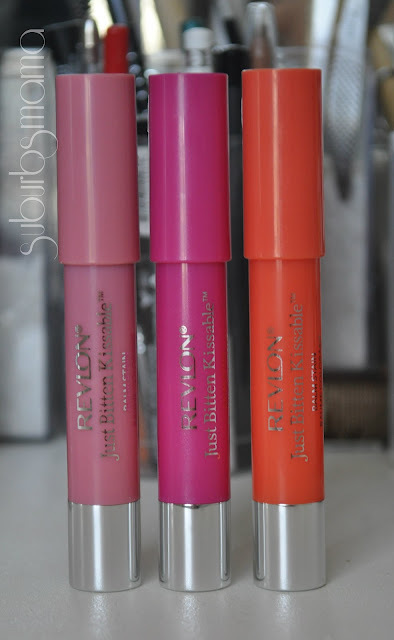 Have you tried the revlon just bitten lip stains? I just saw this lip stain a couple days ago and bought one,I really like it! But that Maybelline Super Stay Gloss sounds pretty interesting I will have to check it out!